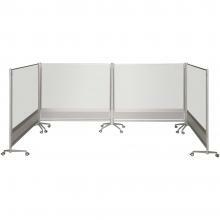 This double sided, reversible whiteboard is constructed of porcelain steel, including a 50 year guarantee. 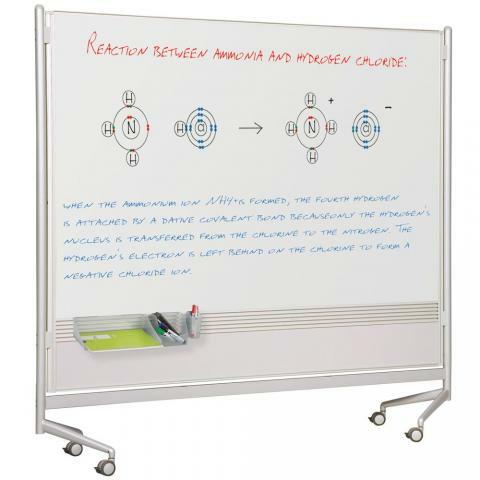 The whiteboard is magnetic, which allows it to double as a magnetic bulletin board. 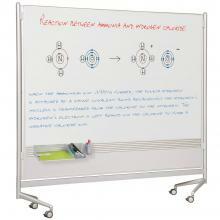 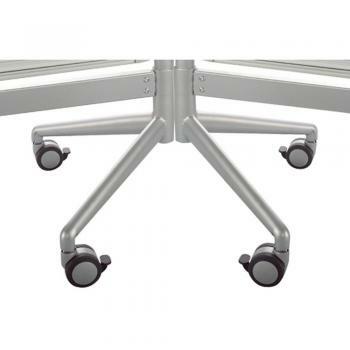 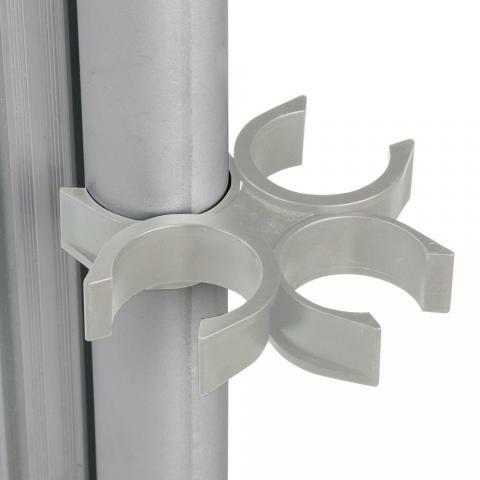 The whiteboard is framed in anodized aluminum, and sits on locking casters. 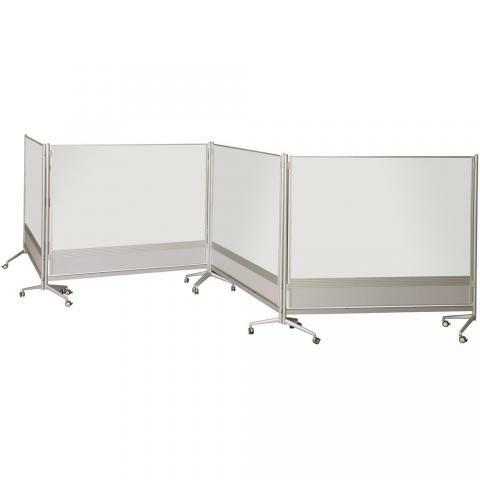 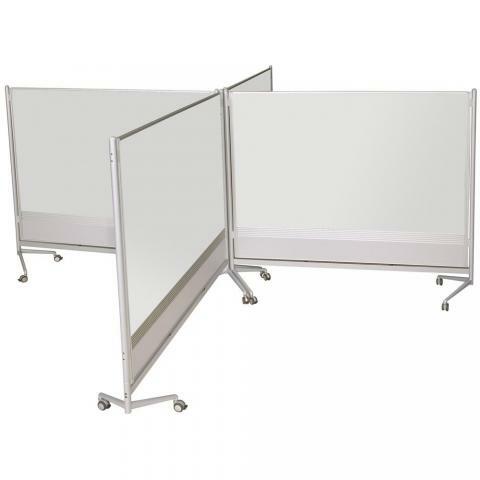 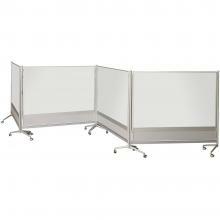 This reversible whiteboard also works great as a room divider!